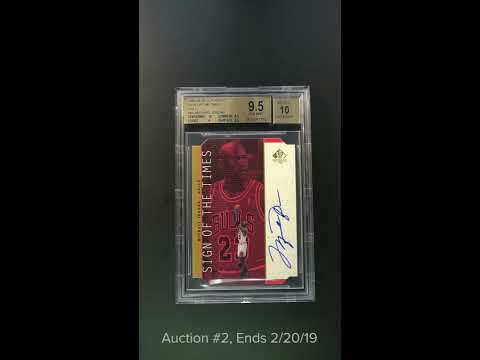 A jaw dropping early Michael Jordan autograph issue up for auction this month. 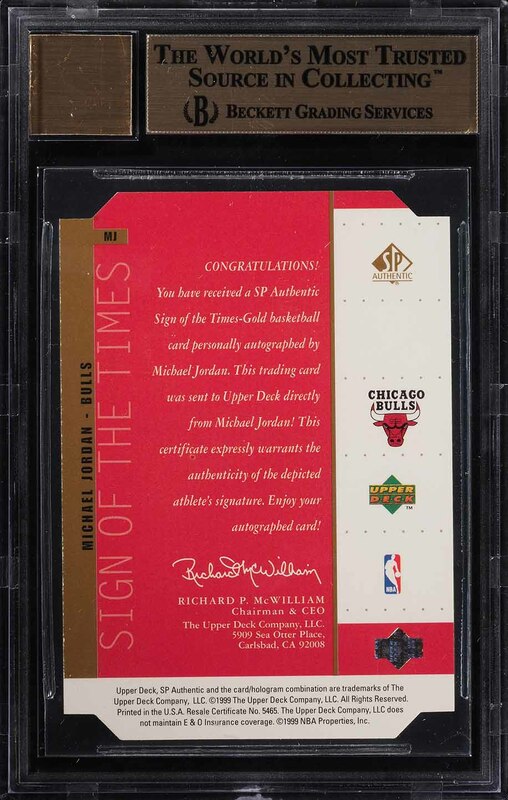 The offered SP Authentic SOTT Gold Jordan BGS 9.5 easily ranks among the finest examples in the hobby and displays outstanding presentation throughout. The offered stunner boasts one of the finest autographs we've seen on the issue. Due to it's condition sensitive surfaces, finding an undeniably pristine autograph (such as this one) is virtually impossible. This fragile die-cut production possesses untouched corners along with pristine centering. The surfaces are spectacular and entirely void of typical scuffs, indents or scratches. Modest wear to the edges on the reverse accounts for the '9' sub-grade. These cards we're inserted at a rate of 1:864 packs; one of the rarest inserts from the decade. 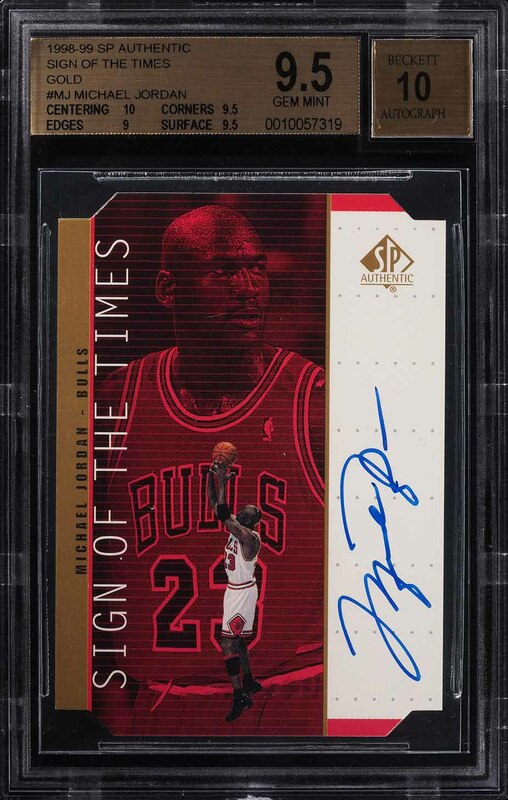 All told, this is a world class Michael Jordan autograph issue with a demand that will always exceed supply. Comes with our highest recommendation. One of over 15,000 cards, lots, and sets up for bid in our 2nd Auction of 2019. Click on the link above to view the other PWCC auction lots. The PWCC Vault is now live! Open a PWCC Vault account and receive a custom Vault shipping address. Purchases shipped to the Vault receive free shipping and reflect Oregon's 0% sales tax rate.